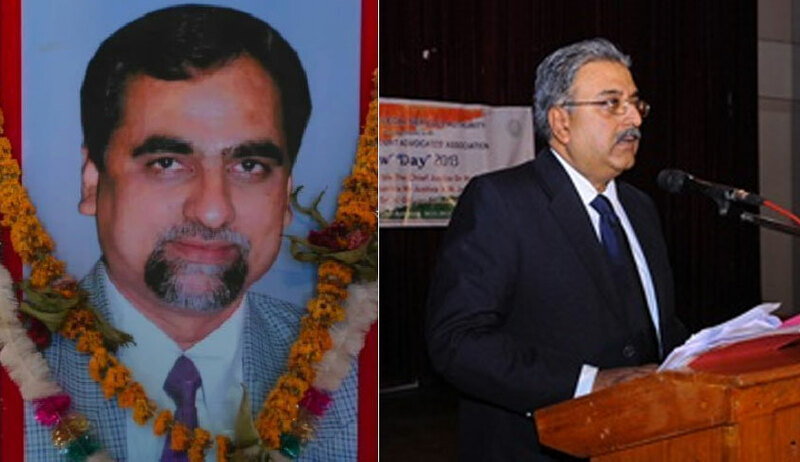 Senior advocate, V. Giri, appearing for Mr. Tehseen Poonawalla on Monday highlighted several discrepancies in the official account of CBI Special Judge B.H. Loya's death. The submissions were made before a three Judge Bench comprising Chief Justice Dipak Misra, Justice A.M. Khanwilkar and Justice D.Y. Chandrachud, in order to bolster the plea for an independent probe into the incident. Mr. Giri's written submissions began with the prosecution's version of facts, as culled out from the enquiry report. He then highlighted, point-wise, various inconsistencies in the claims and the available documents. For instance, while it is asserted that Judge Loya attended a wedding in Nagpur and stayed at a VIP guest house, no investigation has been conducted to establish his presence at the wedding or the guest house. He submitted, "In order to establish the presence of the deceased at Ravi Bhavan, Nagpur, the State Intelligence Department ought to have placed on record the records of Ravi Bhavan i.e. entry/exit register or any other relevant document to corroborate that the deceased was staying at Ravi Bhavan with 3 other judges in the same room. The State Intelligence Department ought to have verified / recorded the statement of the relevant staff of Ravi Bhavan to corroborate that presence of the deceased." Further, Mr. Giri pointed out that no verification was conducted from the doctors involved, stating that the "discrepancies in the date of admission of the deceased are glaring". He, therefore, asserted that "the story presented by the State of Maharashtra does not inspire confidence and requires investigation." Moreover, he contended that no explanation has been offered for sending Judge Loya's body to Latur when the officials were aware that his family resided in Mumbai. The difference in the post-mortem report and the absence of the ECG report from the records despite its mention in a Judge's Written Statement was also pointed out. Furthermore, Mr. Giri highlighted that instead of recording the statements of the Judges who were with Judge Loya himself, Commissioner of the State Intelligence Department (SID) Mr. Sanjay Barve had chosen to send out letters to them. In response, the officers had sent written statements, the independence of which has not been verified by the SID. Challenging the procedure adopted by Mr. Barve, Mr. Giri submitted, "It was imperative upon the DG/Commissioner to record the statements of the judicial officers himself at the time of conducting enquiry/verification in order to ascertain the truth and veracity/ independence of the contents of the statements. The said enquiry has been conducted by the DG/ Commissioner outside the bounds of law in a casual manner." The reliability of the "discreet enquiry report" submitted by the SID was also challenged, contending that the same does not inspire confidence as it was concluded "in a teething hurry" within 5 days. Mr. Giri pointed out that while this report stated that the sequence of events had been verified, it wasn't so because as many as 16 independent people who were privy to the incident had not been examined. Similar submissions were made on Friday by Senior Counsel Dushyant Dave, who is representing Bombay Lawyers' Association. Mr. Dave had then accused the "discreet enquiry" and subsequent report prepared by the SID as a "bundle of contradictions". You may read the gripping courtroom exchange and the written submissions here.